Dr. Curtis Rogers, Communications Director for the South Carolina State Library and producer of the LibraryVoicesSC podcast, discusses medical librarianship, the University of South Carolina (USC) School of Medicine Library, and more with Ruth Riley, Director of Library Services at the USC School of Medicine in Columbia, South Carolina. Ruth has served as Director of the USC School of Medicine Library since 2000. She has worked in three other academic health sciences libraries including the University of Arkansas for Medical Sciences Library, the Alfred Taubman Medical Library at the University of Michigan, and the J. Otto Lottes Health Sciences Library at the University of Missouri. Since 2012, Ruth has also served as the Assistant Dean for Executive Affairs at the USC School of Medicine. 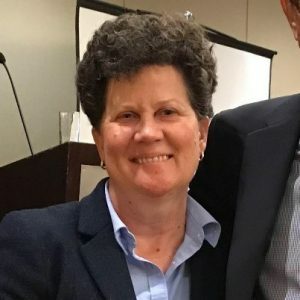 She is presently serving as Past-President of the Association of Academic Health Sciences Libraries and has served as Chair of the Southern Chapter of the Medical Library Association and Chair of the Partnership Among South Carolina Academic Libraries. Listen online at Podbean, Stitcher, or TuneIn Radio today! 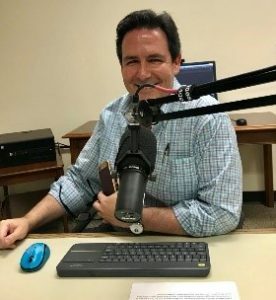 The episode is also featured on the South Carolina State Library website: http://www.statelibrary.sc.gov/news/medical-librarianship-ruth-riley-libraryvoicessc-podcast-episode-64.